Vision UK will support the delivery of a new collaborative ambition for change across the eye health and sight loss sectors. It will bring together the work of the UK Vision Strategy, VISION 2020 UK and the England Vision Strategy, and will work with partners from across the eye health and sight loss sectors to deliver an agreed set of UK-wide ambitions and priority areas. Keith has a background in leading urban renewal programmes but, as his own vision deteriorated, turned his energies to the sight loss sector. He has spent the last five years holding senior and board positions at Thomas Pocklington Trust, RNIB and RP Fighting Blindness. His personal and work experiences afford Keith a unique perspective of the challenges and opportunities that lie ahead as Vision UK is established. Keith commented: “I’m honoured to be leading Vision UK. I’m excited to build on the excellent work of the UK Vision Strategy, VISION 2020 UK, and the England Vision Strategy teams, working in partnership with the eye health and sight loss sectors to deliver transformational change”. Keith has been appointed by the Vision Strategy Transition Programme Board, which was established to take forward the learning from the ‘Shaping the Future Report’, published following a six month evaluation and consultation of the 2013 - 2018 UK Vision Strategy. Nigel Clarke, Chair of the Vision Strategy Transition Programme Board and of VISION 2020 UK said: “We hope that with a renewed agenda for change and one single, unified and collaborative body responsible for its delivery, we can really move forward with the next stage of the UK Vision Strategy; making the UK a place where everyone looks after their sight and where timely treatment and support is available to all who need it”. 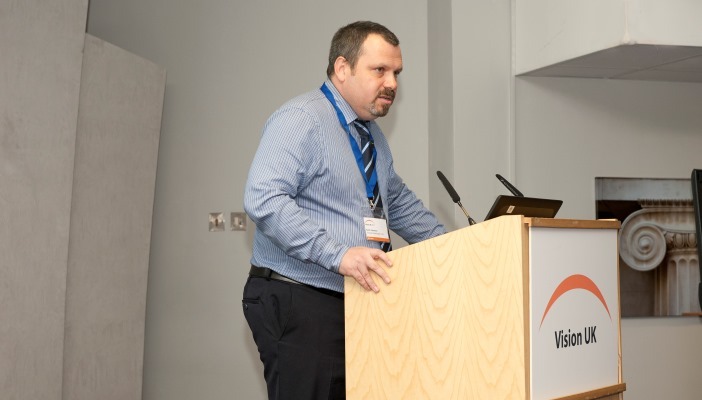 Keith will be chairing the ninth annual Vision UK conference in London on the 15 June where delegates will hear from Vision Strategy Transition Programme Board Members about the future plans for Vision UK and the ‘UK Ambition Statement’ which is the successor to the 2013-2018 UK Vision Strategy. It is intended that Vision UK will launch in the autumn of 2017. 'Shaping the Future of the UK Vision Strategy' was a 6-month evaluation and consultation project to inform the future development and delivery of the UK Vision Strategy. Download the report. What is the UK Vision Strategy?